A successful IST ( Integrated System Test ) requires the installation of Server Simulators load banks in the datahall. 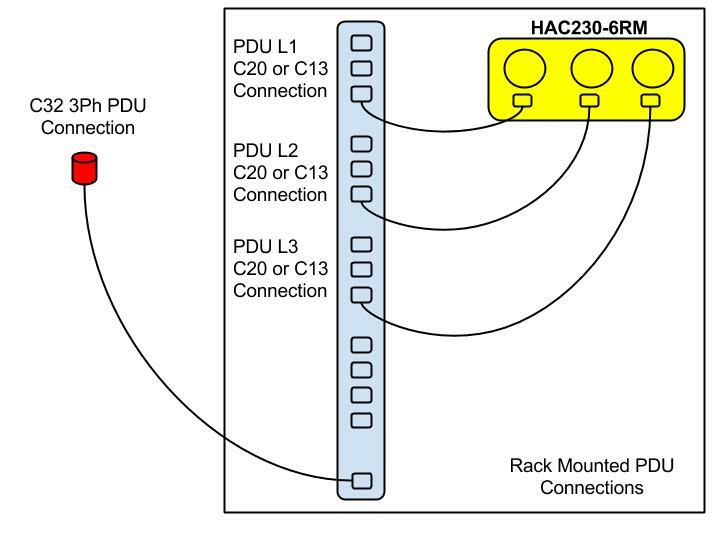 While there are many types of such devices in the market place the Hillstone HAC230-6RM has been designed to solve many of the problems found in commissioning a datacentre. Why is the 6RM the industry leader? The 6RM is electrically designed to be used with C19 to C13 cables unlike alternate competitor designs. The 6RM is 4U 19" Rack design with the advantage of front edge cable sockets and controls. The 6RM provides an adjustable granular heat dissipation expected to match the airflow draw from a blade server. An airflow from 143 to 430m3/h or 250CFM delivers a delta T range of 10°C to 20°C. A 6RM comprises of 3 individual 2.2KW load channels, each is selectable in 2 x 1.1KW steps. 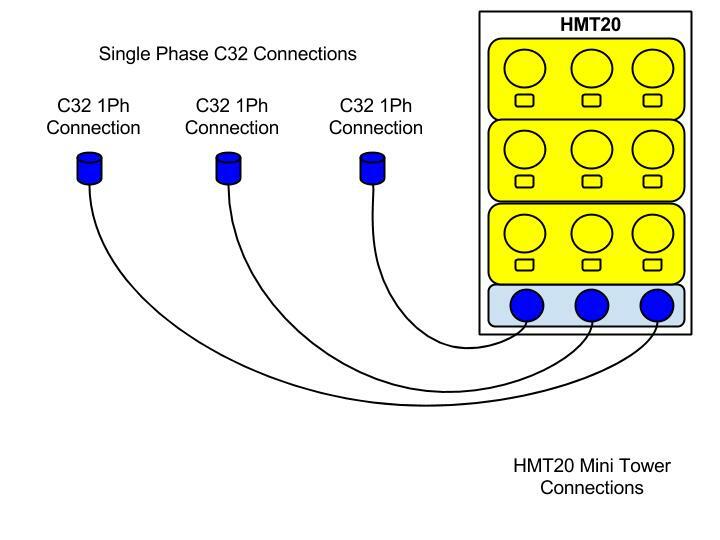 This flexibility allows connectivity to either single phase or three phase supplies. 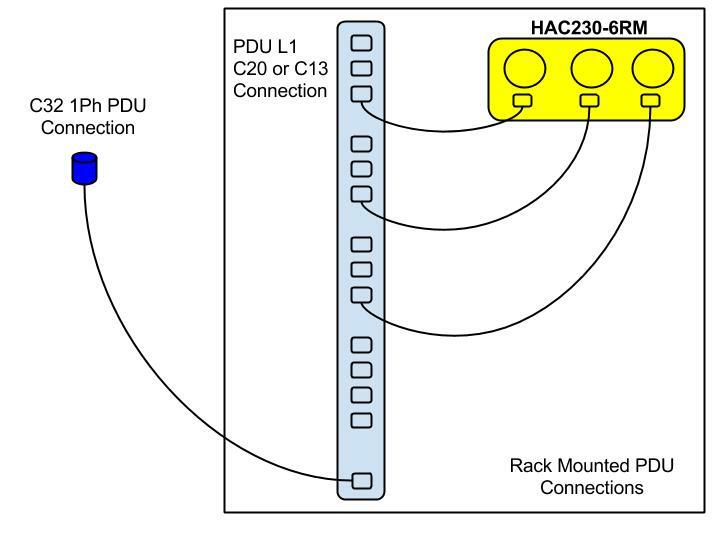 Using a standard C13 or C19 cable the 6RM can deliver a balanced load across each phase of the PDU. 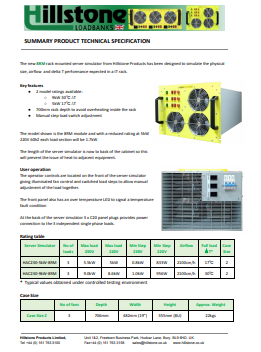 Each 2.2KW 9.6A load is designed in consideration of 10A circuit breakers fitted in the PDU strip. 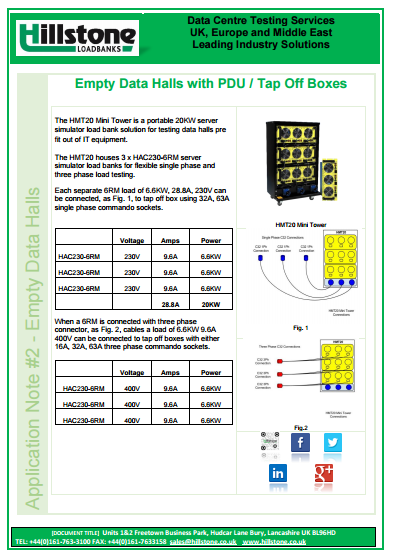 Server simulator load banks can and should still be used when commissioning empty data halls that have not been fitted out with IT cabinets but can be at different stages of electrical fit out. 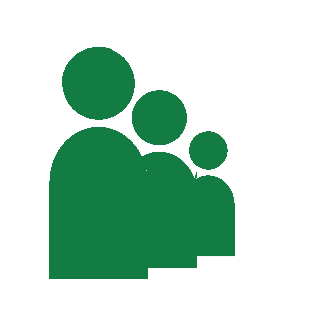 The issues of available electrical connectivity present the project team with variable challenges. Prior to the IT cabinet fit out of PDU power strips the 6RM can be cabled to the installed tap off boxes. These maybe under floor or at ceiling level fitted to bus bars. 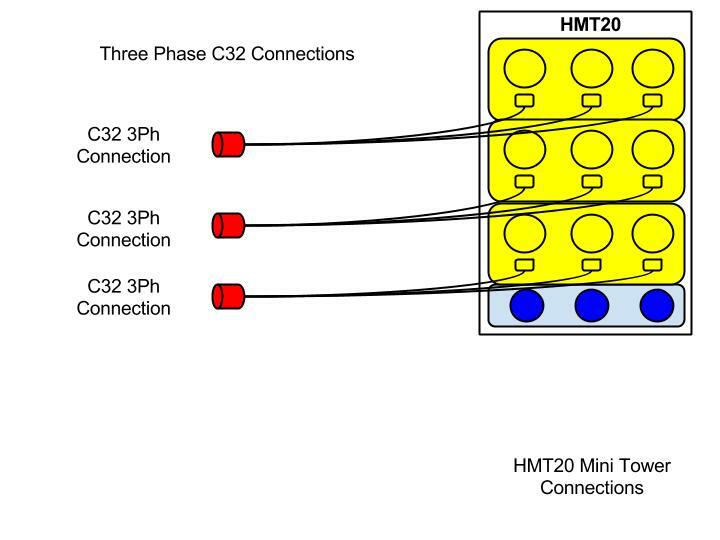 The flexibility of the 6RM allows connectivity to 1 phase or 3 phase sockets using smart cabling solution. 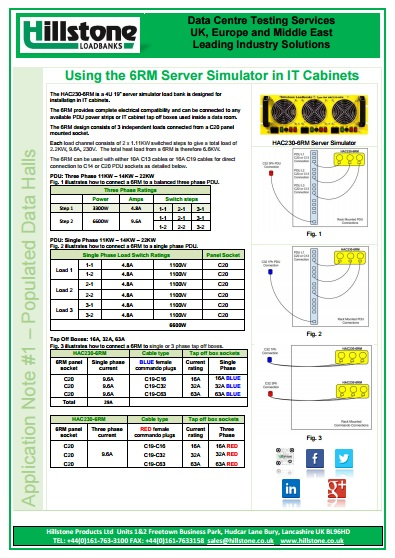 Competitors which offer alternative 19" Rack heat loads at design ratings of 3.75KW 16.3A, 3.84KW 16.7A to 4KW 17.4A can not be connected to IT Rack PDU's. 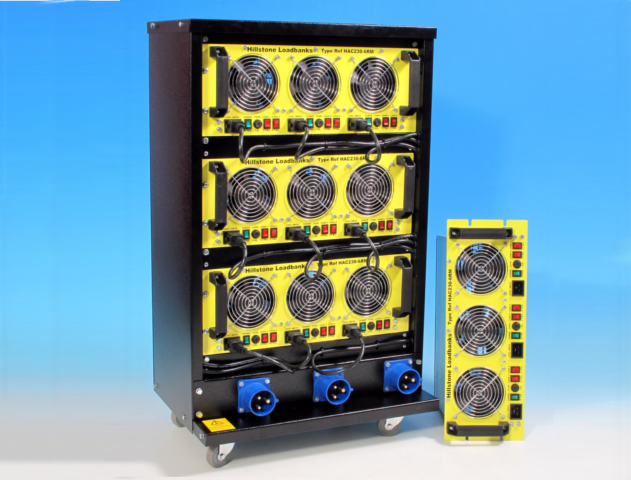 They are also single step load units in the market which prevent an even and granular dissipation of load per cabinet during IST commissioning.